CODES ONLY! VAUXHALL ZAFIRA B 2006- 1.6 Z16YNG ENG. CODE ONLY! VAUXHALL VECTRA C 2002-2008 1.6/1.8 Z16XE/Z18XE/Z18XEL ENG. VAUXHALL ASTRA G MK4 1998-2004 1.4/1.6/1.8 X14XE/Z14XE/C16XEL/X16XEL/Z16XE/Z16YNG/X18XE1/Z18XE/Z18XEL ENG. Zafira C Tourer (12->). Genuine Vauxhall Oil Filler Cap. Astra J (10->). Insignia (09->). Cascada (13->). Mokka (13->). Ampera (12->). All Part Numbers Used are for Reference Purposes only. ENGINE CODES: Z20NET, Z22SE, Z22YH. VAUXHALL PART NUMBER: 24454629. 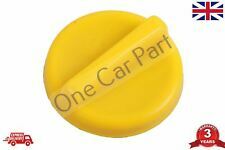 FITS: ASTRA G (1998 - 2004) ASTRA H (2005 - 2009) SIGNUM (2003 - 2008) VECTRA C (2002 - 2008) VX220 (2001 - 2004) ZAFIRA A (1998 - 2010) ZAFIRA B (2005 - 2014). Vauxhall Cavalier Original Tapón De Llenado Aceite Astra Calibra..
WILL ALSO FIT ASTRA & OTHER VAUXHALL MODELS. CAVALIER / ASTRA. OIL FILLER CAP. THESE PARTS HAVE BEEN IN DRY STORAGE OFF THE VEHICLE FOR OVER 15 YEARS. 55213470, FIAT 55213470, VAUXHALL 55213470, DOBLO 55213470, LINEA 55213470. 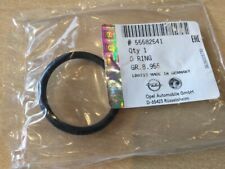 VAUXHALL ASTRA MK6 55213470, FIAT LINEA 55213470, FIAT DOBLO 55213470. Vauxhall Combo 1.3 CDTi 2011-2017. Vauxhall Combo 1.6 CDTi 2011-2017. Vauxhall Header Tank Cap. Astra J (10->). Insignia (09->). Corsa D (07-15). Genuine 13502353. Mokka (13->). All Models. All Part Numbers Used are for Reference Purposes only. PART NUMBER: 93179106, 55187763. VAUXHALL ASTRA H, COMBO D, VECTRA C. DIESEL OIL FILLER CAP. ENGINE OIL FILLER CAP. GENUINE OE PART. Why Buy From Us?. All Astra MK4 (Including GSi, Coupe Turbo). Vauxhall Polished Oil Cap Cover. All Vauxhall Petrol (2010 - Present). The GTC Logo. Vauxhall Logo. All Petrol Engine Astra MK5 (Including Astra/Zafira VXR). Vauxhall Part Number: 55565948. 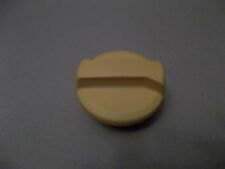 Vauxhall Astra J Insignia Zafira C 2.0 Diesel Oil FIller Cap. Zafira C Tourer 2013 with A20DT, A20DTL, A20DTH, Y20DTJ, Z20DTJ, engine code up to chassis number C2000000. Vehicle Application: Astra IV 98-04, Vectra I 95-02 and the Zafira I 99-05. Vehicle Specific: Vauxhall (O.E. 90585762). Oil filler cap. OIL FILLER CAP. Also an upgrade for the Z20LEL LER LEH LET engines. A18XEL, A18XER, A16XNT. Zafira C (12->). A14NET, A16XER, A18XER, A17DTS. Mokka (13->). A14NET, A16LET, A16XER, A18XER. Insignia (09->). VX220 (01-04). Genuine Vauxhall. Astra F (92-98). Astra G (98-04). Astra H (04-10). Astra J (10->). Zafira C (12->). Zafira A (98-05). Tigra B (04-10). Zafira A (98-05). Zafira B (05-12). Genuine Vauxhall. Astra G (98-04). Astra H (04-10). Oil Filler Cap. (with seal). 650103,90 536 291,33677, 650103, 90536291, 6 50 103,90536291. Zafira A Mk1 1998-2005; Engine codes, X16XEL, Z16XE, X18XE1, Z18XE. Zafira B Mk2 2005-2012; Engine code, Z16YNG. Tigra B Mk2 2004 On; Engine code, Z18XE. 'ONE CAR PART' Sales Team. Mirrors, Glasses and Covers. We hope to hear from you soon! 9.30am - 16.30pm. 8.30am - 6.30pm. Opening Hours. Heating & Cooling. We have a friendly and knowledgeable team who are more than happy to help. 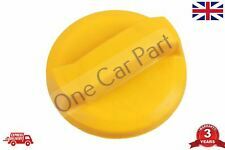 GENUINE VAUXHALL / OPEL OIL FILLER CAP Part Number: 24454629 Compatibility: Fits 2.0 & 2.2 Petrol Engines to fit the following models: ASTRA-G ZAFIRA-A (1998 - 2010) ASTRA-H (2004 - ) SIGNUM (2003 - 2008) VECTRA-B (1996 - 2002) VECTRA-C (2002 - 2008) VX220 (2001 - 2004) ZAFIRA-B (2005 - ) NOTE: The ebay compatibility table above is intended for guidance purposes only. Please check part numbers and/ or contact us with your vehicle registration or chassis number to confirm compatibility. VAT Invoice included 1 Year Vauxhall Warranty Included Thanks!. Fits into a 40mm Hole (inner diamter). Produced from High Quality Stainless Steel to the Highest Standard. Agila A (00-08). Antara (07-15). Astra F (92-98). Astra G (98-04). Astra H (04-10). Astra J (10->). Adam (13->). Engine Oil Filler Cap. Genuine 13502353. Mokka (13->). 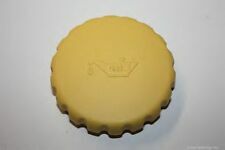 Vauxhall Header Tank Cap. Adam (13->). Corsa D (07-15). All Models. Insignia (09->). All Part Numbers Used are for Reference Purposes only. OPEL / VAUXHALL. Astra Mk3 Mk4 Mk5. New Arrivals. 'ONE CAR PART' Sales Team. We hope to hear from you soon! 9.30am - 16.30pm. 8.30am - 6.30pm. Opening Hours. Genuine Vauxhall. Astra G (98-04). Astra H (04-10). Corsa C (01-06). Oil Filler Cap. Combo C (01-11). Z16XE, Z18XE, Z18XEL. Vectra C (02-08). And more Check Compatibility above! REFERENCE OEM NUMBERS. 650103,90 536 291,33677, 650103, 90536291, 6 50 103,90536291. Zafira A Mk1 1998-2005; Engine codes, X16XEL, Z16XE, X18XE1, Z18XE. Zafira B Mk2 2005-2012; Engine code, Z16YNG. Vectra B 1995-2002; Engine codes, X16XEL, Y16XE, Z16XE, X18XE1, Z18XE, Z18XEL. Agila A (00-08). Antara (07-15). Genuine Vauxhall. Astra F (92-98). Astra G (98-04). Astra H (04-10). Astra J (10->). Adam (13->). 650103,90 536 291,33677, 650103, 90536291, 6 50 103,90536291. Zafira A Mk1 1998-2005; Engine codes, X16XEL, Z16XE, X18XE1, Z18XE. Zafira B Mk2 2005-2012; Engine code, Z16YNG. Signum 2003-2008; Engine code, Z18XE. PART NUMBER - 90536291. Zafira A (98-05) X16XEL, Z16XE, Z16YNG, X18XE1, Z18XE. Zafira B (05-12)Z16YNG. Tigra B (04-10) Z18XE. VAUXHALL Astra G (98-04)X14XE, Z14XE, C16XEL, X16XEL, Z16XE, Z16YNG, X18XE1, Z18XE. 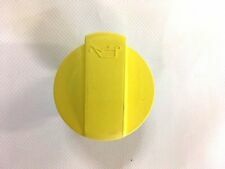 GENUINE VAUXHALL / OPEL OIL FILLER CAP Part Number: 90412508 Compatibility: Fits 1.0, 1.2, 1.4, 1.6, 1.8, 2.0, 2.2 & 2.5 Litre Petrol Engines 1.7, 2.0, 2.2 & 3. Vauxhall Vectra B 1995 - 2002. Vauxhall Astra Mk I 1979 - 1984. Vauxhall Astra Mk II 1984 - 1991. Vauxhall Astra Mk III 1991 - 1998. Vauxhall Cavalier Mk II 1981 - 1988. Vauxhall Cavalier Mk III 1988 - 1995. Agila A (00-08). Antara (07-15). VX220 (01-04). Astra F (92-98). Astra G (98-04). Astra H (04-10). Astra J (10->). Zafira A (98-05). 55213470, FIAT 55213470, VAUXHALL 55213470, DOBLO 55213470, LINEA 55213470. VAUXHALL ASTRA MK6 55213470, FIAT LINEA 55213470, FIAT DOBLO 55213470. Fiat Doblo 2.0 D Multijet 2010-2017. Vauxhall Combo 2.0 CDTi 2011-2017. Part Manufacturer Number 90412508. Reference OE/OEM Number 90412508. Manufacturer Part Number 90412508. Tapón de llenado de aceite. Genuine Vauxhall. NUEVO PARTE. AHORA VAUXHALL. Part Manufacturer Genuine Vauxhall. Genuine Vauxhall. NOW VAUXHALL. Oil Filler Cap. (with seal). This will fit the following vehicles:-. Zafira C (12->). Z16XEP, Z18XER, Z20LOEH, Z20LER. Zafira B (05-12). Genuine Vauxhall. Petrol Engines ONLY. Corsa D (07-14). Corsa E (15->). Fuel Filler Cap. Astra G (98-04). Astra H (04-10). Corsa C (01-06). Oil Filler Cap. Combo C (01-11). Zafira A (98-05). Z16XE, Z18XE, Z18XEL. Vectra C (02-08). VAUXHALL 90412819. OPEL ASTRA F (T92) 1.4 i 16V (F19, M19) Saloon Petrol 02/1996 09/1998 FWD 16 90 66. OPEL ASTRA F (T92) 1.6 i 16V (F19, M19) Saloon Petrol 08/1994 09/1998 FWD 16 100 74. VAUXHALL ASTRA Mk III (F) Estate (T92) 1.4 i 16V Estate Petrol 02/1996 01/1998 FWD 16 90 66. Fiat Doblo 1.3 Multijet 2000-2017. Fiat Punto 1.3 Multijet 2003-2012. Handles, Locks & Lock Cables. Fiat 500 1.3 Multijet 2007-2017. Fiat Fiorino 1.3 Multijet 2007-2017. Fiat Idea 1.3 Multijet 2004-2012. Part Number: 316702182. 2.0L CDTi (1956cc) Diesel 157 Bhp 5 Door Hatchback 6 Speed Manual RHD Air Con: Yes. We are Breaking a 2011 Vauxhall Astra J SRi (Pre-Facelift). Removed from the car below but may fit other models/years. 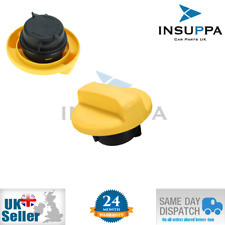 GENUINE VAUXHALL / OPEL OIL FILLER CAP Part Number: 90536291 Compatibility: Astra H (2004 - 2010) NOTE: The ebay compatibility table above is intended for guidance purposes only. Please check part numbers and/ or contact us with your vehicle registration or chassis number to confirm compatibility. 1 Year Vauxhall Warranty Included Thanks!. VAUXHALL AGILA 1.0 1.2. VAUXHALL ZAFIRA A 1999-2005 ALL MODELS. VAUXHALL VECTRA B 1995-2001 ALL MODELS. VAUXHALL ASTRA E MK2 1985-1992 ALL MODELS. VAUXHALL ASTRA F MK3 1992-1998 1.4, 1.6, 1.7D, 1.7TD, 1.8 2.0. ASTRA MK2 / E 1985-1992. -ASTRA MK3 / F 1992-1998. -CARLTON MK3 1987-1993. -COMBO MK1 / B 1993-2001. -CAVALIER MK2 1982-1988. -CORSA MK1 / B 1993-2000. -COMBO MK2 / C 2001-2006. -FRONTERA MK1 / A 1992-1998. Agila A (00-08). Astra F (92-98). Astra G (98-04). Astra H (04-10). Astra J (10->). Zafira A (98-05). Zafira B (06-12). Zafira C (12->).